Check out these Jeep Wrangler Running Boards that actually disappear! Wow! The Jeep Wrangler is one tough vehicle that is built to go offroad; climb mountains; and drive through creeks and muddy roads. The problem is that it’s a little difficult for shorter people and people with some disabilities to get in and out of. However, a set of our Jeep Wrangler running boards can eliminate these problems. Our power running boards are fully retractable! And yes they actually disappear from view. Our fully retractable Power Running boards offer a convenient step into your Jeep Wrangler which allow easy entry and increasing safety. They are an invaluable addition if you go offoading since these running boards do not protrude from the Jeep; but instead they are protected from most objects. These Jeep Wrangler Running boards also allow smaller children to access your Jeep without adult assistance and reduce the risk of a slip when entering your vehicle. 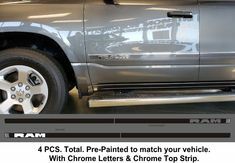 If you want to install your new running boards yourself, it’s easy to do. 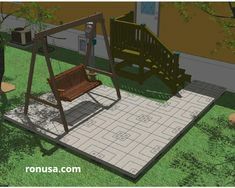 Here at Ronusa.com, we include all of the mounting hardware you’ll need, along with easy-to-follow instructions. That way, you can make your Jeep Wrangler perform greatly — without paying someone else a fortune to get it that way! O.K. Here’s the actual scoop and details on this amazing and disappearing running boards! Introducing The Next Generation Power Running Boards! ActionTrac™ powered running boards are the next generation of automatic, power running boards. They are unique from other power side steps because they feature a patented step within-a-step design; actually making it two steps in one. ActionTrac™ running boards also feature no-splice wiring and a no-drill bracket installation on most models, as well as powder-coated aluminum construction, making them the perfect side steps for offroad trucks and Jeeps. No-drill brackets and no-splice wiring! Easier access on larger, lifted trucks and Jeeps! The step-within-a-step design of ActionTrac™ powered running boards makes them the perfect lifted truck steps. There is one 4″ non-skid step on top of the main housing and one 3″ step that deploys automatically as needed. When the door opens, the control module deploys the electric step 8″ below the top step and up to 15″ below the inside of the doorsill, depending on the model. This provides safe, convenient access to the vehicle, especially on larger trucks, Jeeps and SUVs that are built for offroading. It is also ideal for families with young children and for elderly passengers. When the door is closed again, these lifted truck steps retract, providing plenty of ground clearance for the offroad trail. With the innovative step-within-a-step design, ActionTrac™ powered running boards offer a uniquely contoured look against the vehicle. Rather than folding up underneath the vehicle, the power steps fold into the housing which provides additional side protection for the vehicle. ActionTrac™ running boards contour to the rocker panels, helping to block small stone and other debris kicked up by the tires from scratching and marring the vehicle’s finish. 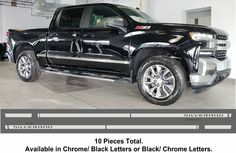 Additionally, when the vehicle is parked, the running boards provide an extra defense against door dings from other vehicles. Each set of ActionTrac™ powered running boards is equipped with an integrated control module for safe entry and exit. During operation, the control module detects any obstructions in the path of the power step. This immediately pauses operation, eliminating the risk of pinch hazards and avoiding damage to the steps from rocks and other obstacles. For additional safety, the main housing has built-in LED lights that illuminate the power step upon deployment, providing convenient visibility in dark conditions. ActionTrac™ powered running boards are designed to offer a custom fit on your truck, SUV or Jeep Wrangler. They install with vehicle specific brackets and use pre-existing holes in the vehicle to eliminate the need for drilling (some Ram models excluded). Unlike other power side steps, ActionTrac™ retractable running boards also do not require alignment and will not bind during operation. ActionTrac™ running boards are also the easiest to install power steps on the market in terms of electrical. They connect directly to the vehicle’s battery in a self-contained system that requires no splicing into factory wiring. Just like your truck, Jeep or SUV, these power running boards are built for the off-road. They are made right here in the USA with extruded 6061-T6 aluminum, making them highly durable, yet lightweight and corrosion resistant. For added protection against corrosion, scratches and marring, they also come with a durable carbide black powder coat finish. ActionTrac™ powered running boards operate with a single rotary motor, contained within the main housing. This single motor allows the electric steps to remain quiet and maintenance-free, while still offering fast, smooth operation. The motor, pivot points and all of the electrical components are shielded within the main housing, keeping them well protected against the elements and ensuring long-lasting reliability. Here’s a Guide to Jeep Wrangler Chrome Accessories that will add BLING! GMC Acadia Denali Running Boards; A must have item that is not available from GM!